(NaturalNews) A recent press release by the U.S. Environmental Protection Agency (EPA) states that the former Kil-Tone Company facility in Vineland, N.J., has now been added to its "Superfund list of the country's most hazardous waste sites." In its own words, the EPA explains that "pesticides were manufactured at the now defunct Kil-Tone Company facility, and groundwater and soil at the site, including soil in the yards of nearby homes, is contaminated." Yet the EPA is always claiming that pesticides are safe for use on foods that are intended for human consumption – as reported by the Chicago Tribune – bringing into question the logic that this governmental organization is using when deciding whether or not pesticide use is safe. If pesticides are not dangerous to human health, surely there should be no cause for alarm when pesticides are found in the soil and groundwater at a defunct manufacturing facility? 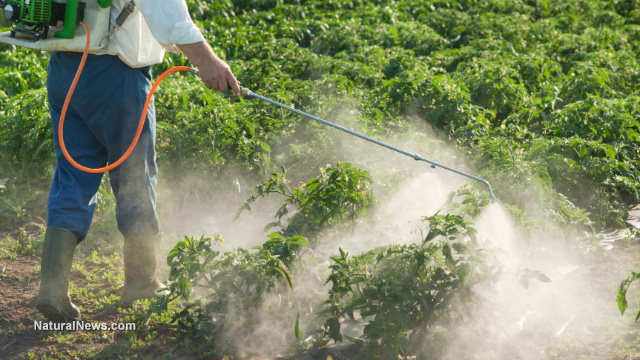 Pesticides are associated with a variety of health complications, including Parkinson's Disease, autism, birth defects, Alzheimer's and reproductive dysfunction, according to Beyond Pesticides. There are also thought to be very strong links between exposure to pesticides and cancer, as reported by PANNA. The chemicals that are found in pesticides are thought to trigger cancer in a variety of ways, for example, by disrupting hormones, damaging DNA and causing tissues to become inflamed. Many common pesticides are categorized as "known" or "probable" carcinogens, and children are at an even greater risk than adults. PANNA reports that the rising cancer levels can be at least partially attributed to the use of pesticides, with girls who were exposed to the pesticide DDT before they reached puberty being five times more likely to develop breast cancer by the time they are middle-aged. Pesticides are thought to have been manufactured on the Kil-Tone Company site between the years of 1917 and at least 1933 – which included arsenic and lead. The EPA confirmed that the soil at both the site itself and the yards of nearby homes were found to have unacceptable levels of arsenic and lead in November 2014. The same was true of surface water and sediment samples along the Tarkiln Branch to its confluence point with the Maurice River. But why did the EPA leave it so long after the site was closed before checking that the area was safe? According to Nutritional Anarchy, arsenic is a semi-metal element that is odorless and tasteless – making it hard for the average American to detect its presence in drinking water. But arsenic is a known carcinogen, and the risk of developing cancer from exposure to the compound is "shockingly high compared to other known toxins." Meanwhile, as reported by Global Healing Center, lead is extremely toxic to humans, and has a huge impact on the liver, kidneys and reproductive system. In the short term, the EPA has begun work to reduce the potential exposure to the elevated levels of arsenic and lead at the residential properties by placing stone, mulch or another appropriate barriers at the impacted areas – indicating that the area is unsafe. But what about the exposure of the residents to high levels of arsenic and lead over the last 80 years? A lot of damage has already been done. Studies have shown that pesticides that were banned over 40 years ago – such as DDT and PCBs – are still causing sperm abnormalities and miscarriages today. This shows that the chemicals and compounds contained within pesticides linger around for a very long time – and the damage that has already taken place in this area will continue to affect the generations to come.